Tule Publishing Group, LLC, 9781944925437, 240pp. Cowboy on the Run . . .
Once upon a time Luke Tanner had it all. Well, almost all. Then a Hollywood stunt gone wrong stole his best friend -- and Luke knows it was all his fault. He could have stopped it, should have stopped it. Jillian Crane doesn't agree. 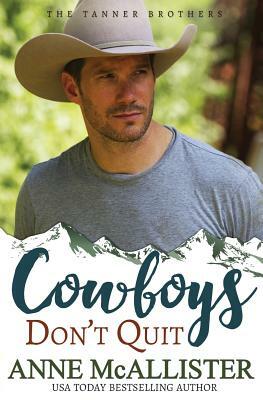 When she tracks her late fianc 's best friend to his Colorado mountain hideaway, she is determined to make Luke start living again. She doesn't know she's the last person on earth Luke wants to see. And she certainly doesn't anticipate the feelings she develops for Luke ... nor realize how deep Luke's are for her. But can they get over the past they share? And even if Jill can forgive him, can Luke ever forgive himself?